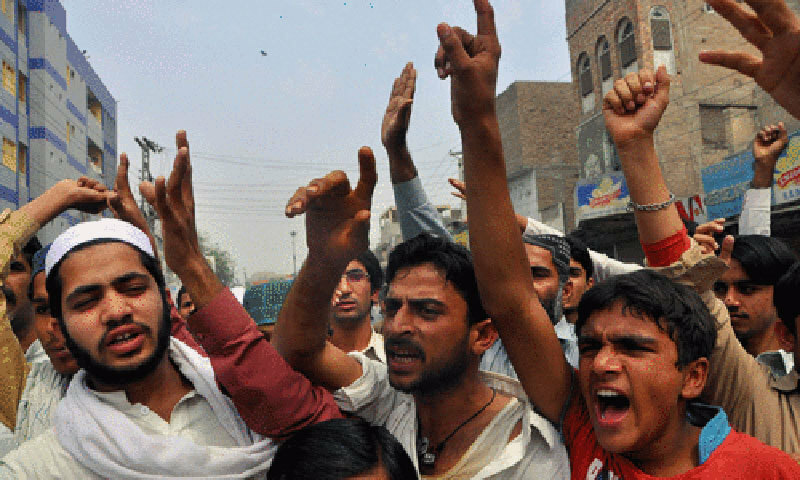 Days after the horrific mob-lynching of a young student in Pakistan over alleged blasphemy, at least two more cases of the sort have surfaced in the Muslim-majority country of over 200 million. Protest rallies have been held in Peshawar city, the provincial capital of Khyber Pakthunkhwa province demanding justice for Mashal Khan, a student killed by mob for alleged blasphemy. But that have proved too little to stop the spree. The religious leaders of the country more than anyone else need to take responsibility for the situation, and should come forward to convince the people, particularly the growingly radicalized youth that religion is a connection between a man and his God, and no individual has the right to judge another one and then take such sever actions in that moment. Pakistan, its neighboring country Afghanistan and many more Muslim-majority nations should learn from their fellow Muslims in countries such as Indonesia, Malaysia, Turkey and many more where there are set rules for all affairs, and the citizens abide by them which has made lives relatively easier for many. On Friday, 21 April 2017, angry protestors broke windows of a police station while demanding custody of an alleged blasphemer, but the police and local officials believed the suspect is mentally-ill man recently returned from Qatar. A day earlier, the police in the country’s biggest Punjab province reported killing of a man by three young women on the charge of blasphemy. In this case though, the victim Fazal Abbas Shah was accused of blasphemy in 2004 and a case was registered against him. In the case, he was declared a proclaimed offender due to which he fled to Denmark. But, still the law does not allow people to be the judge. This can lead to unstoppable madness when everyone with a gun or other means can overpower anyone before or after labelling him or her as the blasphemer. The country’s judiciary also has a role to play to remove obstacles and shortcomings in the delivery of justice that has created environment for mob justice.